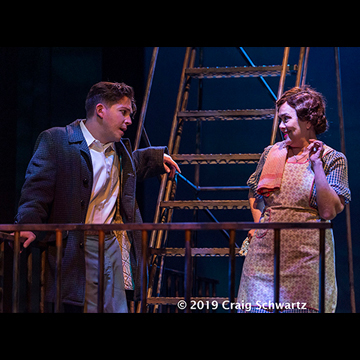 When a group of theatre critics discuss the greatest American playwrights, three names are usually mentioned the most—Eugene O’Neill, Arthur Miller and Tennessee Williams. This critic always champions Mr. Williams. 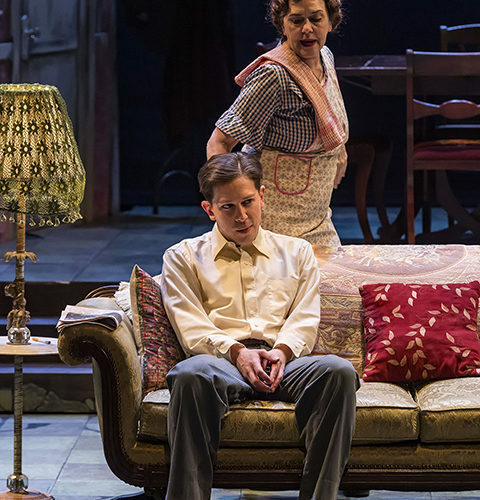 Williams’s first success was with The Glass Menagerie in 1944, beginning in Chicago and then on Broadway. It is a memory play and is undoubtedly Williams’s most autobiographical play, incorporating characteristics of his family into his stage characters. There have been many productions, stage and film, in the decades since its arrival. One of the best is currently on stage at A Noise Within in Pasadena. Director Geoff Elliott has mined the script for new nuances, making the characters bigger, louder, quirkier while at the same time making them more touchingly human. It is a production not to be missed, no matter how many times you have seen the play. Tom is the stand-in for Williams, an aspiring poet worn down by the drudgery of working in a shoe factory as the family’s breadwinner. 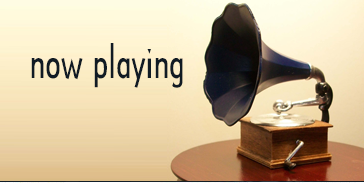 He is the play’s narrator; it is his memories that we see played out in a dingy apartment in Depression-era St. Louis. In his opening monologue, Tom tells us he will “give you truth in the pleasant disguise of illusion”. Williams was a master at conjuring vivid images with his words and he is at his most poetic in this play. Rafael Goldstein gives a powerful performance as Tom, a powder keg set to explode on a very short fuse. His continual battles with his domineering mother over such mundane matters as chewing his food or smoking a pack of cigarettes a day or his constant nights out at the movies are shortening that fuse day by day. He’s a louder, more combative Tom than usually seen. 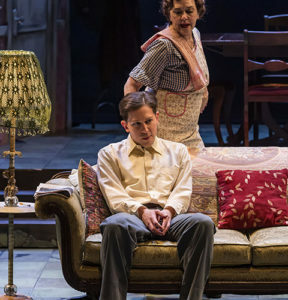 Yet it is Deborah Strang as his mother Amanda that towers over this production. She is a fading Southern Belle who prefers to live on the memories of her gloried days on the Mississippi Delta, memories that include the day she entertained 17 gentlemen callers. She is not an ogre of a mother such as Madame Rose in Gypsy or Queen Eleanor in The Lion in Winter. Amanda truly wants a better life for her children; she’s just stymied in her efforts since her husband and their father deserted the family 16 years earlier. She is most worried for the shy, reclusive Laura, left with a defect (a slight limp from a childhood bout with polio). She is determined to find a Gentleman Caller for Laura and get her married off, with Tom’s help of course. Yet she can’t help but flirt outrageously with the young man when he does arrive for dinner. 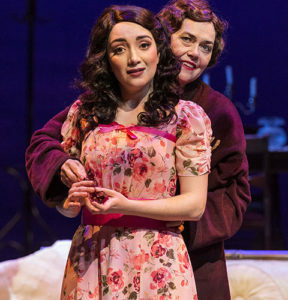 Strang gives a master class in acting throughout, but her entrance in a faded jonquil hued ball gown, carrying bunches of fresh jonquils, is the height of Southern Belle chutzpah. Erika Soto’s Laura is as fragile as the delicate pieces in her glass menagerie collection. She is more comfortable in their company than with people, even her own family. When alone she barely shows a trace of her limp, yet in front of others it is more pronounced; you believe she hears her footsteps as thundering clumps. Tom’s one friend at the factory turns out to be the boy Laura had a crush on when they were all in high school, more than eight years ago. Kasey Mahaffy’s Jim is a delightful burst of energy, a bright light shining in the dimness of Laura’s apartment and life. Their scene together, which comprises most of the second act, is sheer joy to watch. Jim’s innate kindness takes the shy Laura in hand, trying to help her overcome her inferiority complex. His tenderness, leading to her first waltz and then first kiss, is beautifully enacted. Ken Booth’s lighting helps set the melancholy mood for this memory play while Jenny Foldenauer’s period costumes set the period and the characters. 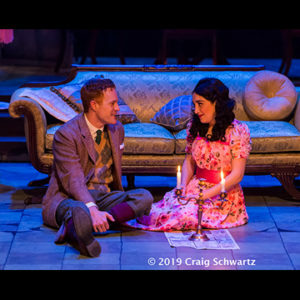 Geoff Elliott’s sublime direction and the beautifully detailed performances from his quartet of actors makes this production of The Glass Menagerie truly one for the memory.